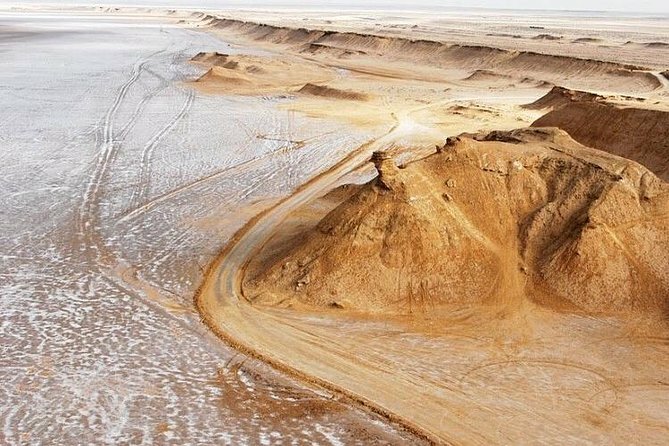 Ong Jemel site takes its name from a rock formation shapes as camel’s neck. In the 90s, the director Anthony Minghella chose the place for the filming of several scenes of his drama-romance film” The English Patient”, after spotting the site in the desert as an excellent outdoor plateau.It is in the 90s that George Lucas chose the site of Ong Jemel for a new episode of Star wars saga. Mos Espa is a city controlled by the Hutts of the planet Tatooine wich it is the capitol before the development Mos Eisley. Anakin Skywalker and his friends lived there as a child. It is famous for being the location in the hit movies « The English Patient » and « Star Wars ». Tatooine is a desert planet in the Outer Rim of the Star Wars universe.